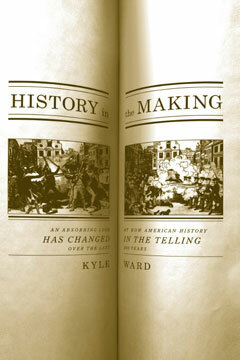 In this “thought-provoking study” (Library Journal ), historian Kyle Ward—the widely acclaimed co-author of History Lessons—gives us another fascinating look at the biases inherent in the way we learn about our history. Juxtaposing passages from U.S. history textbooks from different eras, History in the Making provides us with intriguing new perspectives on familiar historical events and the ways in which they have been represented over time. With excerpts that span two hundred years, from Columbus’s arrival to the Boston Massacre, from women’s suffrage to Japanese internment, History in the Making exposes the stark contrasts between the lessons different generations have been taught about our past. “A good starting point for anyone interested in history and subjectivity” (Kirkus), this immensely readable book is proof positive that your history is not your grandparent’s history and won’t be your children’s history.